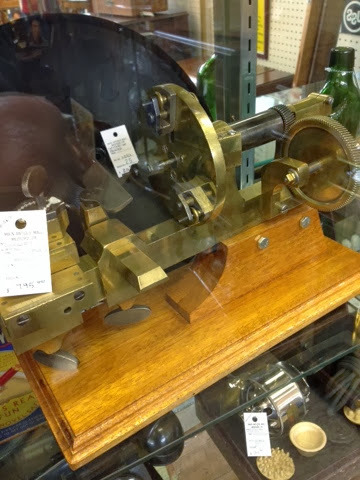 Watchmakers Old Hand Operated Lathe or Turns. This is a nice set of old watchmakers turns. It's been restored and is on a nice wood base. Saw this at the Antique Mall yesterday so thought I would share it here. 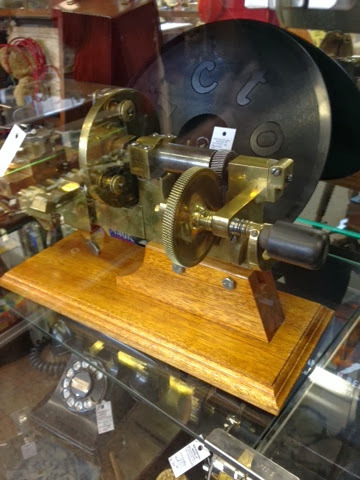 This shows the hand crank. This shows the faceplate. Upon checking, everything looked in good operating condition. It was priced at $795.00.